Use this powerful option to mirror XYZ code in any of the 3 main planes, and around any axis or line in that plane. 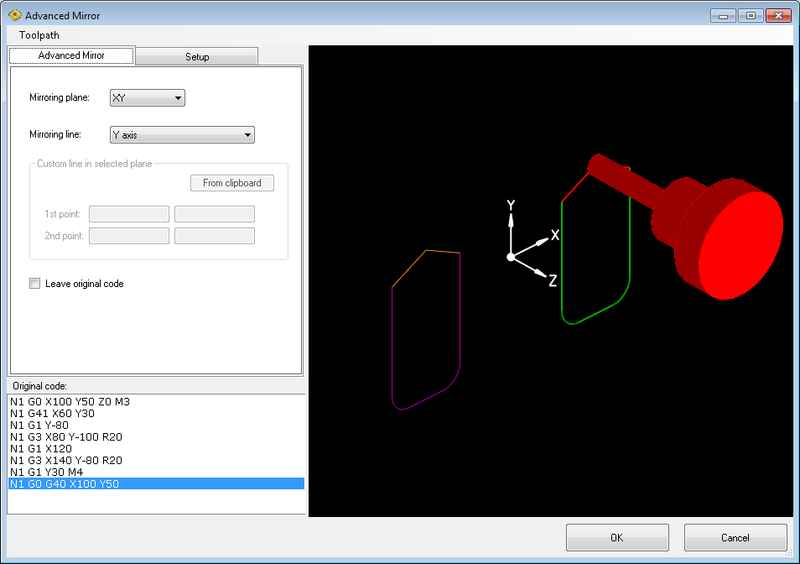 Select mirroring plane (default XY) and mirroring line (X,Y,Z axis, or custom line – define two 2D coordinates). Check option "Leave original code" if you want to leave selected code intact and mirror path added below.